Anguli Ma is the central figure in a traditional Buddhist folktale, a deranged killer who wears his victims’ fingers in a garland around his neck. Chi Vu presents him as a menacing abattoir worker who carries bloody chunks of meat home to his lodgings in plastic bags, in this suburban Gothic tale set in 1980s Melbourne, when the flight of Vietnamese refugees to Australia was at its height. The gathering fear, the prevailing darkness, the strange contours of the house which has been divided and sub-divided to accommodate its female occupants, the macabre humour and surreal effects, mark Chi Vu’s novella out as a unique contribution to contemporary Australian storytelling, and our understanding of its communities. ‘In a good year for novellas I was haunted by Chi Vu’s Anguli Ma: A Gothic Tale, set in Melbourne’s Vietnamese community in the 1980s. It is fresh and disturbing.’ – The Australian. 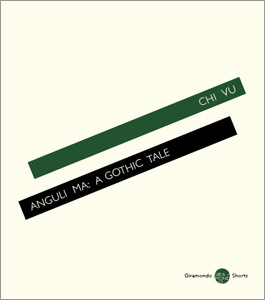 ‘Every now and again, along comes a book so interesting that it almost takes your breath away, and Anguli Ma, A Gothic Tale by Chi Vu is just such a book.’ – Lisa Hill, ANZ LitLovers LitBlog. 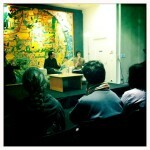 Hoa Pham, Mascara Literary Review. Nicholas Jose, The Wheeler Centre. ‘There is a subtlety in this strange and quite unique little book.’ – Walter Mason, the Singapore Review of Books. 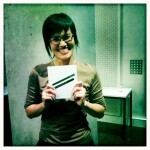 Anguli Ma was shortlisted for the NSW Premier’s Literary Awards, Community Relations category.